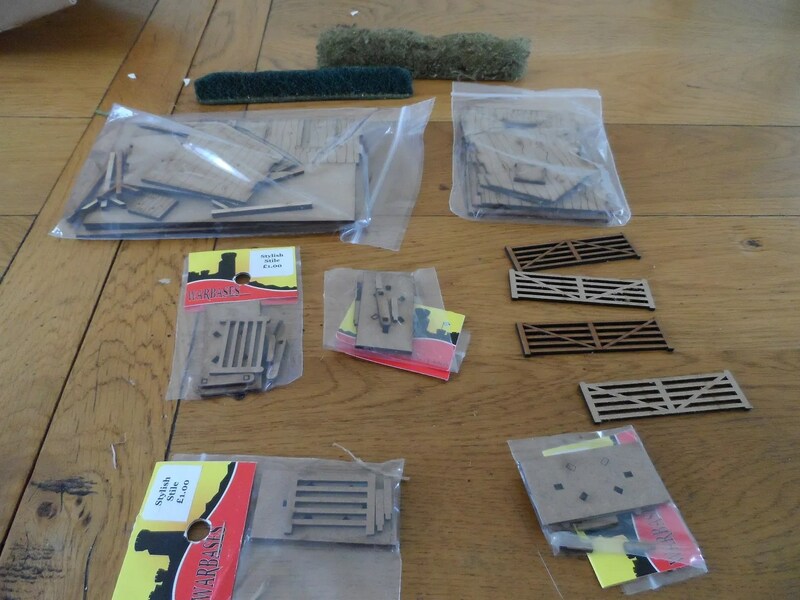 In preparation for my Big Game on the 28th September, I ordered some more scenery. Some I’m collecting tomorrow at Colours, and some has already been delivered. 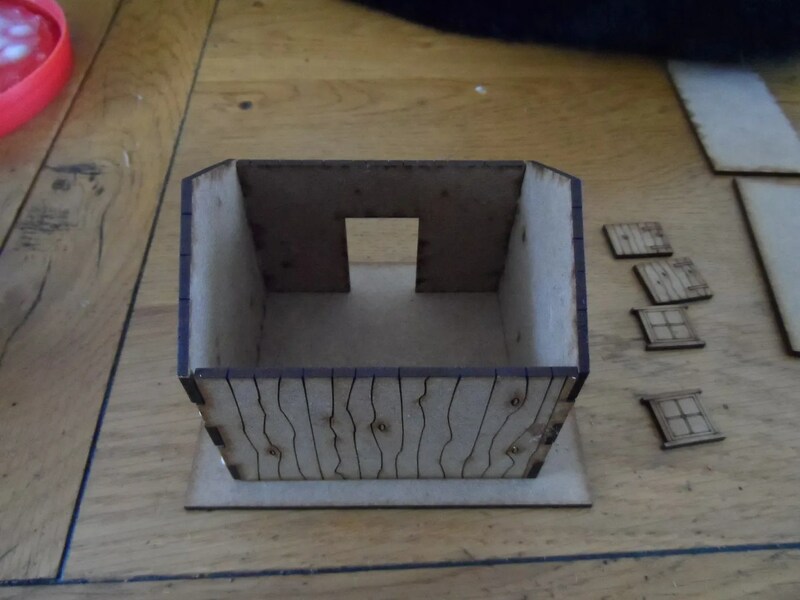 Warbases, delivered some more laser cut mdf, including some buildings, stiles and five bar gates. 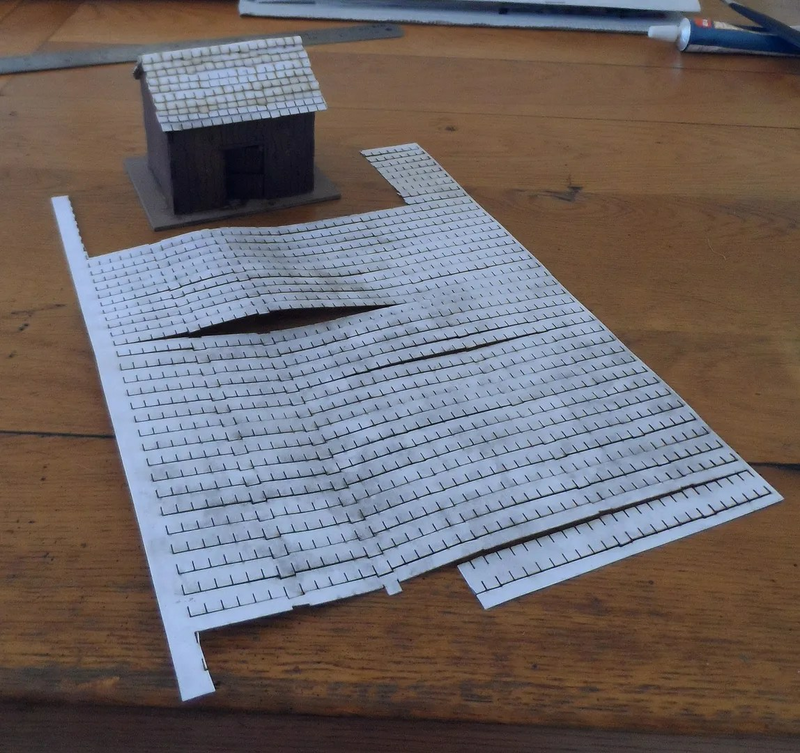 The shed comes with a plain roof, whilst I could potentially paint it as a tarred felt roof, I opted to get some of their tile sheets instead. A4 sized, of thin card, pre cut with a separate row for the apex tiles these do the job nicely. I could, and have previously, laboriously cut out my own tiles, but given time scales I wanted to be able to get a shift on.